Sometimes you just meet the right people at the right time. And this is what happened when Pete Le Freq got talking to Coco Street. Vocals were recorded, and this shimmering nu funk disco house monster was born. Watch out for remixes coming soon! Special Thanks go to Dimitri @ CMS for the Mastering. Time to cut the newbies some slack. I’ve seen quite a few posts recently with various djs complaining about the next generation of djs. The main thrust of their argument is that technology has taken over from the skills of beatmatching, key matching and the timing of mixing. So what do I think about this? Well, lets look back 15 years. It was the height of big beat, Daft Punk and Stardust were at the top of their game. House music pretty much ruled the charts. Everyone knew someone with a set of decks. Didn’t matter if they were direct, belt or even hamster-driven, there was one or two people out of each friendship group who either attempted to replicate the famous DJs of the day or had a brother (or indeed sister!) who had a DJ for a mate. I was one the people who took up djing at this time. There was very little whinging from the previous generation of djs – there could even be said to be a bit of excitement about the newbies starting out on their journey of music-related discovery. As with every fad, some people stuck at it (myself included), while others sold decks, and moved on to the next thing. The ones who kept going, learnt their craft, made different mistakes from the previous generation, and pushed the boundaries more. So let’s compare this to the current crop of wannabe DJs. So what’s changed? In a word, the kit that is used now makes the mechanics of djing easier. And I use that phrase carefully. Because its not really what djing is about. The guys who came up with me from 15 or so years ago learnt on vinyl. Then re-learnt for CD. Then re-learnt AGAIN for mp3 and laptops. But how you do it doesn’t matter as much as what’s being put into it by the dj themselves. Djing is about linking your feelings about music, sharing them with others in a big kind of mutual appreciation session. Very few people get this straight away. It takes time, experience, observation, a great deal of mistakes and a fair bit of self-reflection before you start to spot where you’re going wrong. We may have learnt the lessons, but those doing it now don’t know them yet. They may not have experienced the same emotional connection yet, but can we really moan when they are just where we were all those years ago? In conclusion then, we need to give these guys a break. Let them get experience and then see if they stick at it. The ones that do, could well be keepers. So lets not blast them for not knowing what we had to learn ourselves. 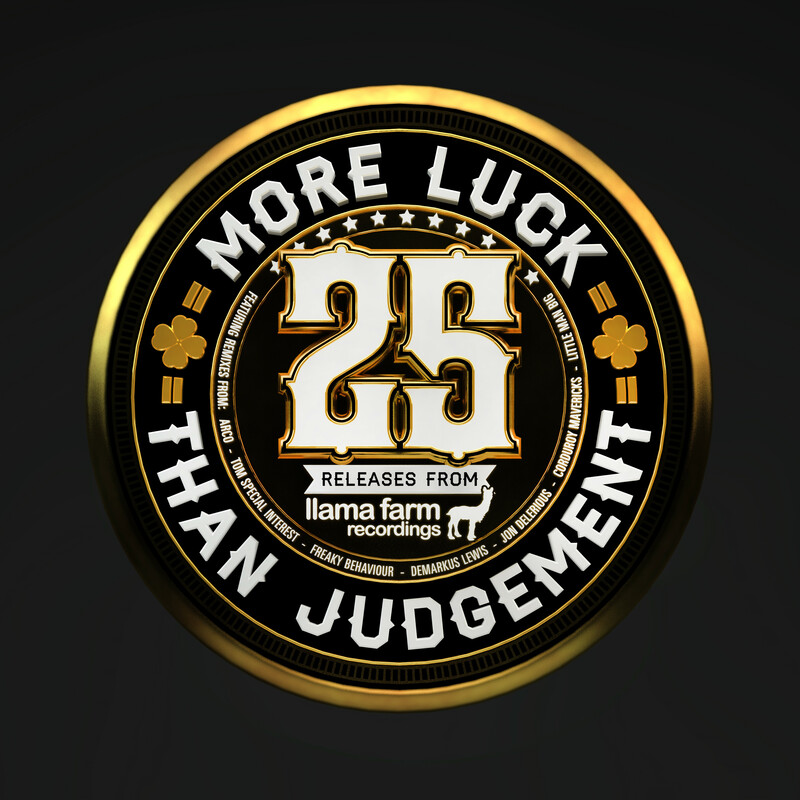 LLAMA025 Bang Bang – Still got Feelings (Arco Remix) OUT TODAY! Its out today at Traxsource people! Daft Punk’s new album has got a a lot of people all a-quiver. The hype has been, well quite frankly annoying, due to the sheer scale of people tweeting/facebook posting. One of the talking points has been its effect on the future direction of the mainstream genre of EDM. Will it cause people to return to house’s roots of disco, soul or funk? For the last few years, commercial dance music has appeared to be a preset driven, laptop orientated template-fest, where similar sounds dominate. The major labels have employed producers to give their artists a house “edge”, and as I’ve previously written, when that happens, cash drives out the “soul” of music. Its homogenised, safe, and for the house lover, a snore-inducing experience. So when the house music community saw that Daft Punk where returning to the party, everyone got quite excited. Then it was announced they were working with Nile Rodgers of Chic fame. Could DISCO be back? Will they move the dance music community back towards live sounds? Err. I don’t think so. Reading the album notes to their new album, the sheer scale of the live element is incredibly impressive. Orchestras, session musicians (some of the best in the world!). This all adds up to one thing. A boatload of cash. The last EDM push was based on what anyone could make on their laptops. (What I like to call the “Ooh I’ve got Ableton, I’m a producer” factor). What Daft Punk have done, is take the bit they like from that, looked at what worked for them and what didn’t, and decided that actually, the original ways are the best sounding for them. There was talk of experimentation with various ages of microphones for the best sound. Lets be honest, not everyone can afford those. So what exactly am I getting at? Will the return of Daft Punk have the same effect as their initial impact? Probably not. But at least it might make some pull their fingers out of their backside and delete their templates. DJ Sneak Vs The World: Or does he just have a point? Dj Sneak has, over the last few years, caused a bit of a furore on social media, with his high profile “calling out” of various djs, and producers. His targets have have included the likes of Swedish House Mafia, Seth Troxler, Armand Van Helden, Tommie Sunshine and Deadmau5. All these guys have had recent commercial success, and have engaged with Sneak back in various different ways, some antagonistic and some just plain blocked him. So what is his beef, and does he have a point? Sneak himself, for those not in the know, was one of the second wave of house DJs to come out of Chicago in the late 80s/early 90s. So from this we can gather, he’s been around for a while, seen quite a lot. He was even name-checked on Daft Punk’s seminal “Homework” album and even wrote the lyrics to “Digital Love”. So, a bit of a pedigree. So what has got him so riled? The word that comes up most is FAKE. This is what links every incident. Swedish House Mafia (to start you could see this would wind him up, since Sneak is the self-proclaimed “House Gangster”) were accused of “cheating their fans” by playing recorded sets that were linked to pyrotechnics. Given the amount of money they were able to demand for their high profile stadium gigs, you start to think that if they are pre-recorded, there is an element of truth in what Sneak is saying. He comes from the days when it was all about working the vinyl, and it was near impossible to “Fake” any part of a dj set. He sees this as calling them out. The problem is, for those who don’t know his background, its seen as jealous whinging. The second part of Sneak’s argument is to do with respecting the underground. This leaves him on slightly shakier ground in that mainstream EDM is always a result of the underground. The difference this time, is that whereas before, the cream of producers rose to the top, had a number of small successes, then returned to the underground, this time the major labels have seen house as a way to make some serious cash. And they’ve hit the all you can eat buffet with seriously high metabolisms. What happens when the majors get hold of anything? It gets diluted, homogenised, and the soul of it is lost in the scramble to make money. This is why guys from the higher paid echelons of the scene get asked to work with high profile artists, to bring their “edge” to what otherwise be formless shapeless throwaway songs. They’ve done the same with dubstep, now they are back with house. Its an endless cycle. This has caused real worry for those in the underground since they rely to an extent on the mainstream to attract and lure people to the purer stuff. When the mainstream stuff had little link to the underground scene, the underground suffers from a lack of new fans. So is he right, and do I agree with him? Well, in terms of calling them out, I kind of think fair enough. DJ fees are so low right now, that anyone earning the kind of money they are better be damn good to show their worth. But does calling them out go against the original spirit of house music? House is supposed to be about a shared love and experience. But then you could say that even when you love someone, you should still tell them when they are being an arse. Pete Le Freq’s April Traxsource Chart! My April Chart is now up on Traxsource, complete with tunage from Random Soul, Nico K, and of course, Alfa Flite!